The latest news plus, how do you see photos of St. Barth in real time? We know many people are confused by some information that has been reported in the media. It is true we were hit by a very powerful storm. 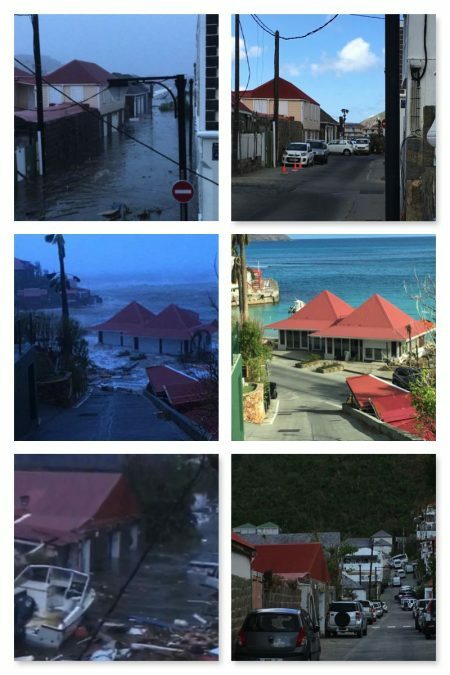 Some media have lumped St. Barth together with other islands that had certainly suffered greatly and are not as fortunate to possess the resources for such a rapid recovery like St. Barth. Our hearts go out to our neighbors and we wish them the best in their efforts towards recovery. We know they will all rise up again. Below you can see the current list of updated business and restaurant openings as well as airport/ferry information. All of this can be found on our Hurricane Irma update page on which we have posted nearly every day. We invite you take a moment to read this page. Be sure to start from the bottom of the page to see all updates. We think you’ll be impressed with the progress. 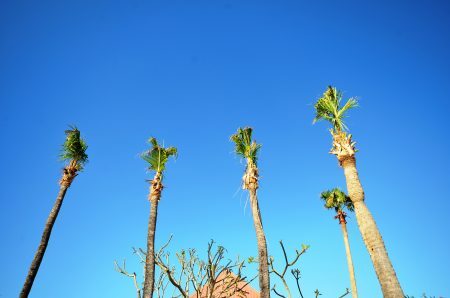 We have assessed all of our properties and are pleased to report that many are ready for their November or December arrivals and most ready for high season. A few may take a bit longer but with 250 beautiful homes in our inventory we have plenty of great choices to offer you. Villa Royal Palm in Vitet received its first guests October 23, 2017. They are thrilled! Photo taken 10-22 17. The majority of shops in Gustavia and St. Jean are open now or will be re-opening as originally scheduled in October & November. Open now or by the end of November: Bakeries island wide, Le Select, Bar de L’Oubli, Galawa (former Pipiri), 25 Quarter, Le Jardin, Le Vietnam, Island Flavors, Au Regal, Bistro Josephine, Le Bouchon, Les Bananiers, Modjo, Yo Sushi Mania, L’Esprit de Saline, La Langouste, La Cantina, Le Piment, Papas Pizza delivery, Le Rendez-Vous, Eddy’s, Le Tamarin, Black Ginger, François Plantation, L’Isola, L’Isoletta, Orega, Chez Rolande, L’Entracte, Spice of St. Barth, Jo-Jo Burger, Mayas to Go. Opening in December: Mayas, Le Ti St. Barth, La Bagatelle, La Plage, Shellona (former Dð Brazil), La Guérite (former Wall House), Kiki é Mo, Baz-Bar. 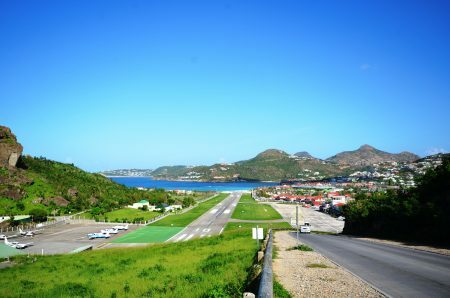 St. Barth Airport: OPEN Re-opened in September and is fully functional. St. Maarten Princess Juliana International Airport: OPEN Re-opened Oct 10 to commercial flights. San Juan Airport: OPEN Tradewind Aviation is currently flying daily flights between St. Barth and San Juan and will maintain a full schedule for the high season. Antigua Airport: OPEN Tradewind Aviation will resume its flights between Antigua and St. Barth and expects to add additional flights for the high season. St. Thomas Airport: OPEN Tradewind Aviation will resume its flights between St. Thomas and St. Barth for the high season. St. Kitts/Nevis Airport: OPEN Tradewind Aviation will resume its flights between St. Kitts/Nevis and St. Barth for the high season. Great Bay Express: Ferry service between St. Martin and St. Barth resumed October 13. Voyager Ferry Service: Ferry service between St. Martin and St. Barth resumed October 13. The residents of St. Barth have worked hard so that they can welcome you back this season. If you are considering a St. Barth vacation and support our beloved island, everyone there will be happy to see you! 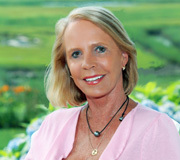 I would be delighted to assist you in securing the right accommodations. Some who know St. Barth are saying this could be the perfect year to visit as it may be a bit quieter than recent years, a nice reminder of the St. Barth in simpler times. I look forward to assisting you. Contact me pegwalsh@stbarth.com or our St. Barth Specialists at reservations@stbarth.com, 1-800-421-3396. Many of you have asked for photos of the island. Everyday it gets greener and greener. 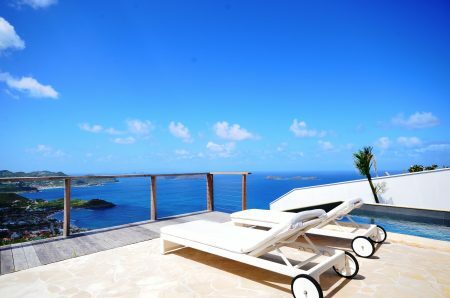 For a live update 24/7, check http://www.st-barth.com/livecam5.html. You can follow along to see the improvement right up until your day of travel. This entry was posted on Wednesday, October 25th, 2017 at 10:53 am	and is filed under Food & Wine, Getting There/Arrival, St. Barth Restaurants, St. Barth Trips. You can follow any responses to this entry through the RSS 2.0 feed. You can leave a response, or trackback from your own site.